March 18, Mt. 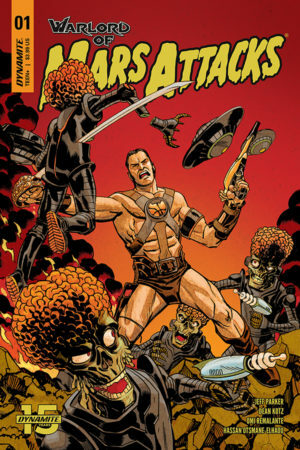 Laurel, NJ: Dynamite announces a fun and crazy new crossover for June, Warlord of Mars Attacks. Who can best defend against a Martian invasion? 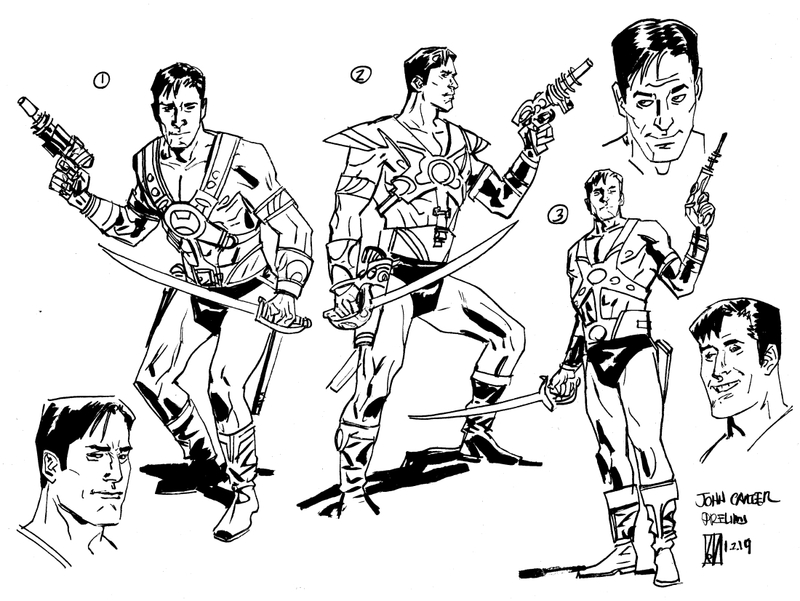 A fearless human hero adopted by the red planet, the one and only John Carter! 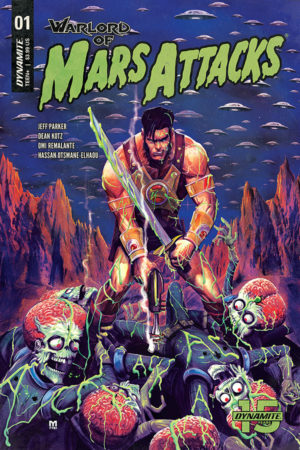 After a lander disturbs the Martian surface, everyone’s favorite big-headed sadistic aliens lead a brutal invasion force toward Earth. Meanwhile, on Earth, a man from 1868 Virginia comes out of stasis. Spectacular covers will be available by Dave Johnson (Batman, Deadpool, 100 Bullets), Marco D’Alfonso (I Am Groot, Vision), Ramon Villalobos (America, Nighthawk) and a retro trading card inspired ones by Ben Caldwell (Red Sonja, Wonder Woman, Prez). Dynamite is the home for epic crossovers, treating fans to multiverse-spanning epics including Swords of Sorrow and Prophecy. 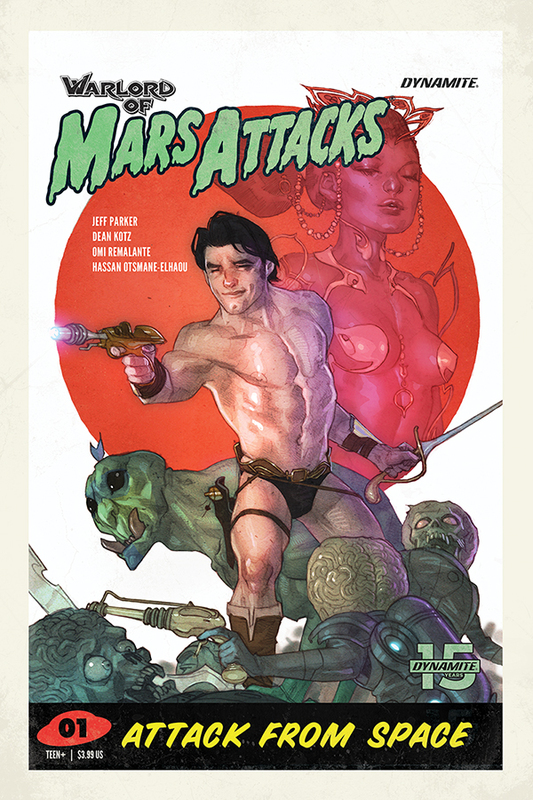 John’s darling Dejah Thoris has teamed up with both Vampirella and Barbarella! The crew of Battlestar Galactica met…the crew of Battlestar Galactica. Coincidental lookalikes Ash Williams and Elvis Presley teamed up in Army of Darkness/Bubba Ho-Tep. AND Red Sonja & Vampirella are on their way to Riverdale. Plus so many more! 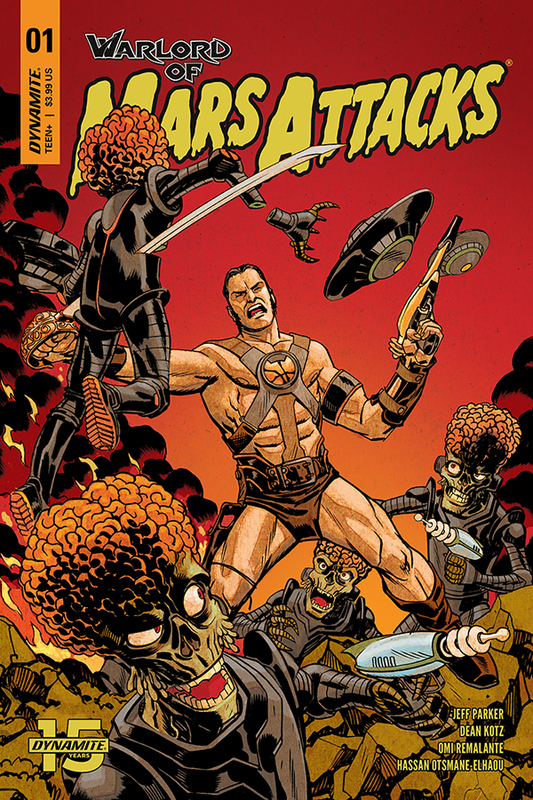 If readers liked those, they will love Warlord of Mars Attacks! 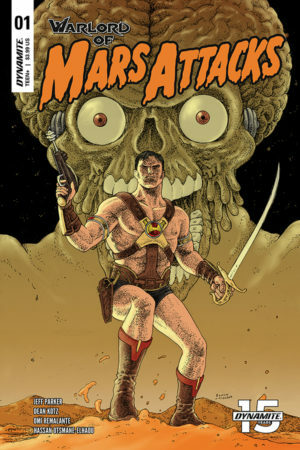 Warlord of Mars Attacks #1 will be solicited in Diamond Comic Distributors’ April 2019 Previews catalog, the premier source of merchandise for the comic book specialty market, and slated for release in June 2019. 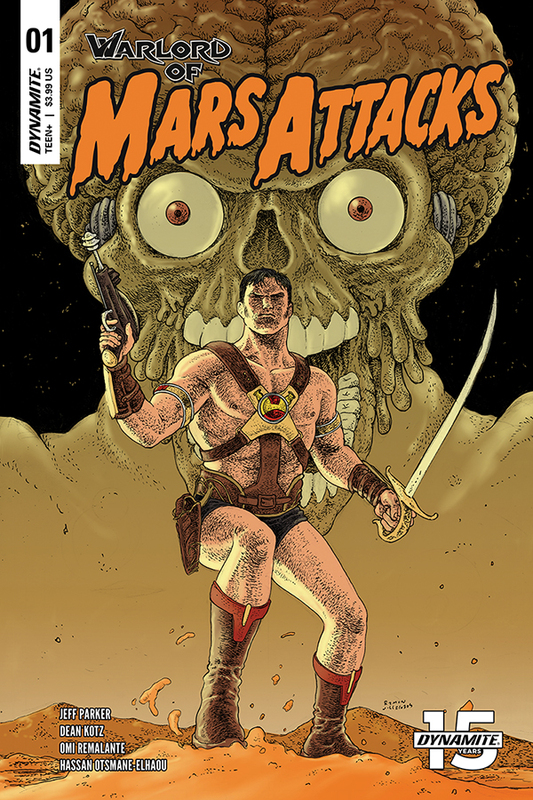 Comic book fans are encouraged to preorder copies with their local comic book retailers. It will also be available for individual customer purchase through digital platforms courtesy of Comixology, Kindle, iBooks, Google Play, Dynamite Digital, ComicsPlus, and more!